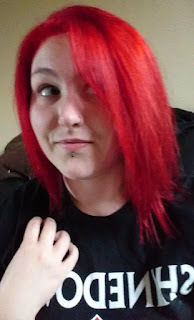 Since it's a new year, I want to start experimenting with some different types of posts to see what I enjoy doing most, and honestly, to see what others enjoy! I was looking for some interesting events that happen in the month of January and I found that this month is actually 'National Hobby Month'. Now, I've NEVER heard of this, but apparently it happens every year because of people starting new years resolutions and trying to find something new for themselves! Because of this, I thought it would be a great time to share some of my hobbies with you and see what you enjoy! Over the years I've been into many different hobbies, some I've kept up, some I've started recently, and some that I just haven't touched in YEARS!! I love to learn new things and I'm quite an artsy person, so creative things tend to be what I enjoy most. One of my most recent hobbies that I am looking to keep up is crochet. I think more and more people are starting to get into the art of crochet and I'm actually quite happy about that. A couple of my aunties have been crocheting and embroidering for years, and one of my aunties crocheted me this AMAZING blanket for a single bed. It's so warm and honestly, it inspired me to crochet more! 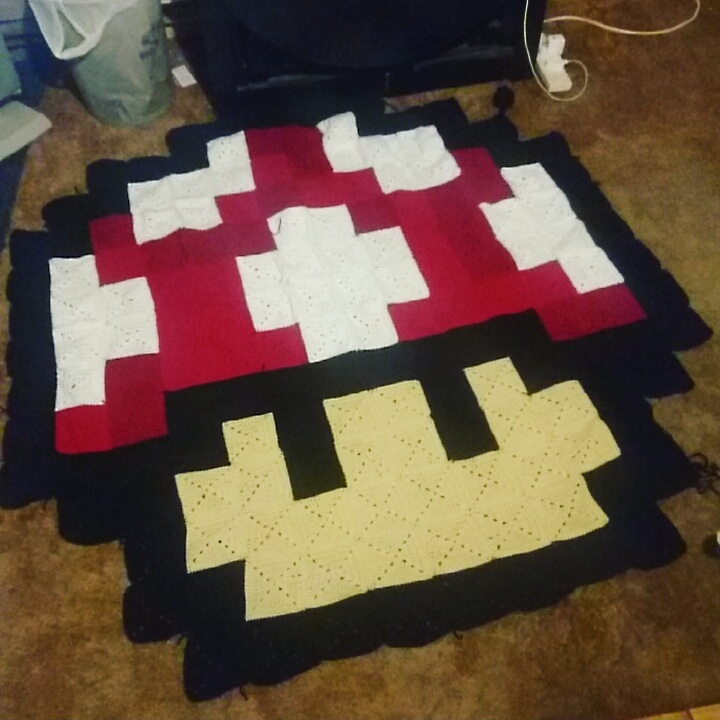 I have already finished a few projects, one of them being my Mario Mushroom blanket/rug! This was my very first crochet projects and I made it from individual granny squares which I then connected. As expected, there are things that I have learnt from this project, but overall I think it went great for a first project! I also followed a design to create a really cool Death Star cushion, which for me, was a lot more difficult but again, I'm really happy with how it turned out. As I said in my 'Goals for 2017' I have started a Tetris blanket that I want to finish this year. I think the joins are a lot better than on my mushroom blanket and it should fit a single bed if it is the right size! 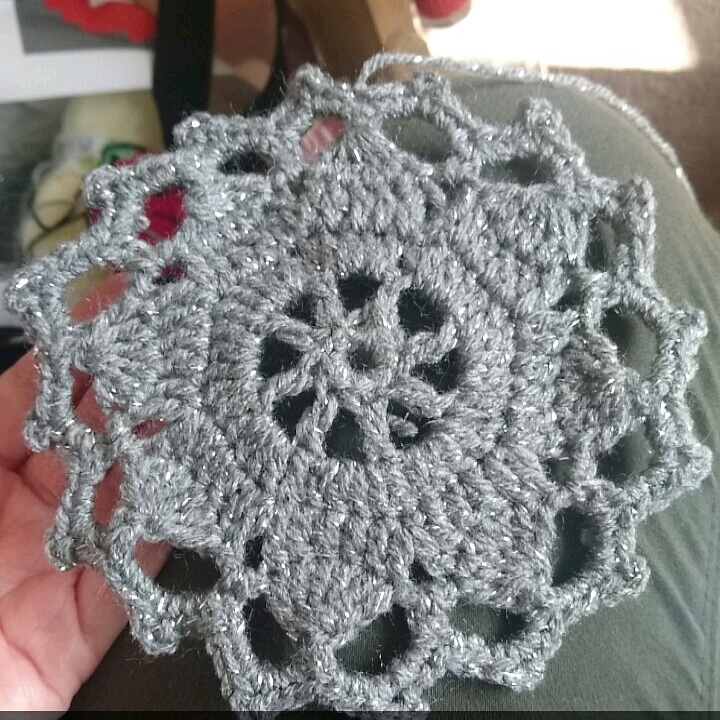 I'm really enjoying crochet, even if I do phase in and out of it, so I hope I carry on learning! Have you ever tried crochet? Are there any hobbies that you are starting this month, or have you been doing something for years?! Let me know!